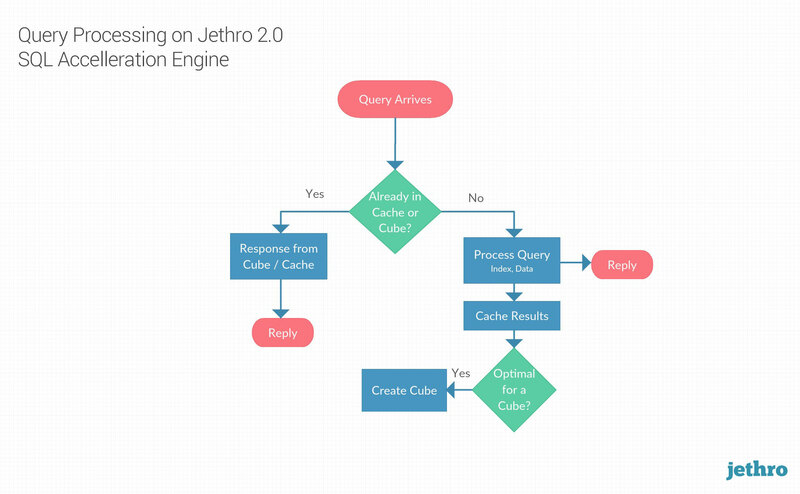 Jethro 2.0 features “auto-cubes,” which are dynamically aggregated micro-cubes that are automatically generated based on actual usage patterns that Jethro learns. 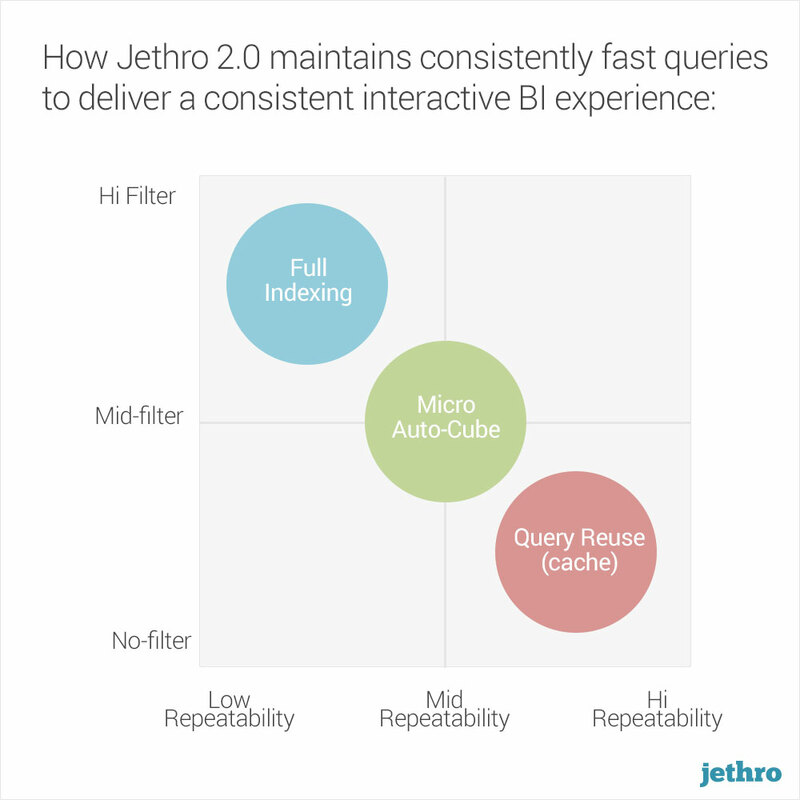 The auto-cubes are complementary to Jethro’s full-indexing and intelligent caching, which significantly accelerate the query performance of BI tools and dashboards, consistently and in almost any scenario. “The dynamic aggregation is a break-through feature in many aspects,” notes Jethro CTO Boaz Raufman. “Jethro’s dynamic aggregation comprises auto-cubes that are automatically generated based on user activity and are maintained and updated transparently. This technology delivers the great performance value of cubes and pre-aggregation without the cons of standard cubes. Jethro dynamic aggregations eliminate the need for complex cube design, provide unlimited coverage via hundreds of small cubes and allow transparent on-demand support for incremental data load. Dynamic aggregations are complimentary to Jethro indexes. The combination of those two powerful acceleration features enables Jethro to cover a extensive range of use cases and provide interactive response times to BI applications in almost any scenario." 1Demonstrated via independent TPC-DS live benchmark on 2.9 billion rows of data against competing SQL solutions.